There’s a song that has the lyrics which say, ‘Up, up and away in my beautiful balloon…’ If you’re a child, it sure sounds fantastic. However, if you’re an adult, this dream looks VERY AMAZING. Cappadocia, Turkey – It is said that riding a hot-air balloon in Cappadocia will be a great experience, due to the fact that this is one of the most famous places for a balloon ride. If you want to experience hot-air balloon rides over a rocky terrain, this is the place for you. Serengeti, Tanzania – Well…if you’re rather fond of watching wildlife such as lions and elephants living in their natural habitat, riding a hot-air balloon is the greatest and safest option just for you. If that’s the case, don’t ever forget to take a picture or two, though. 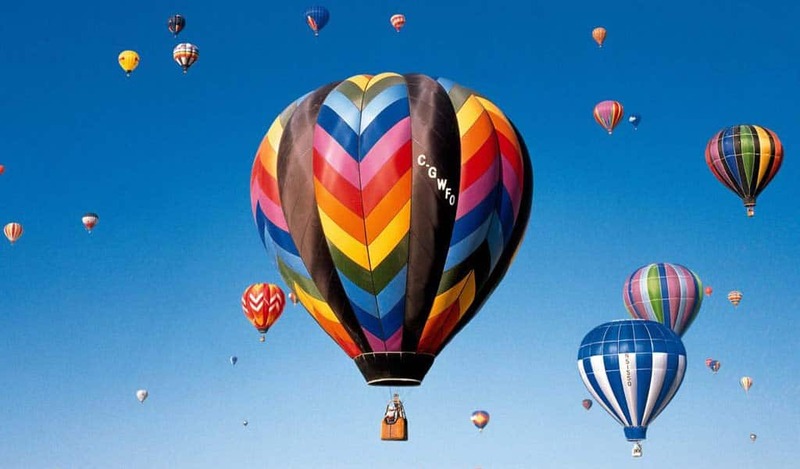 Albuquerque, New Mexico – If you’re planning for a hot-air balloon ride in October this year, this is the best place to go due to the fact that October is the time for Albuquerque International Balloon Fiesta. Whether you’re riding on a hot-air balloon or on the spectator side, this will be a very great and amazing experience for you, though.